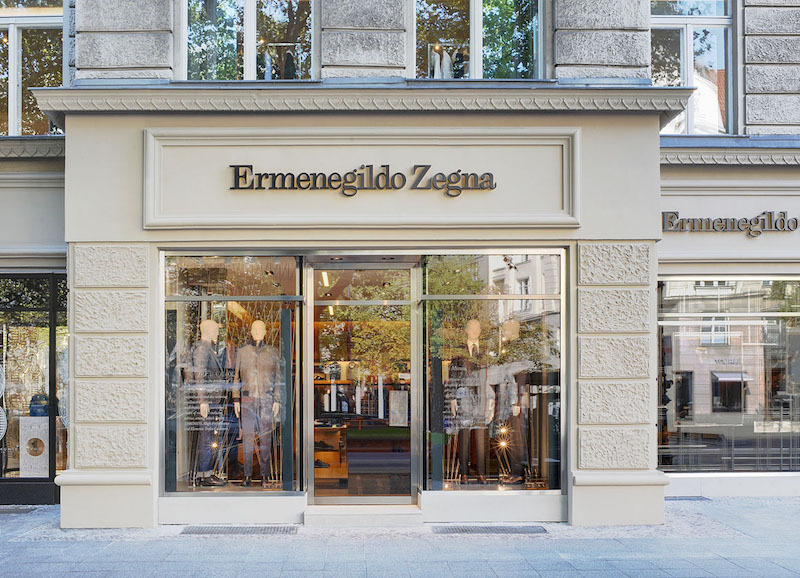 Berlin, Germany – Ermenegildo Zegna, the worldwide leader in luxury menswear, opens the doors of its latest retail store in Berlin at Kurfürstendamm, the most prestigious luxury shopping destination in the city. 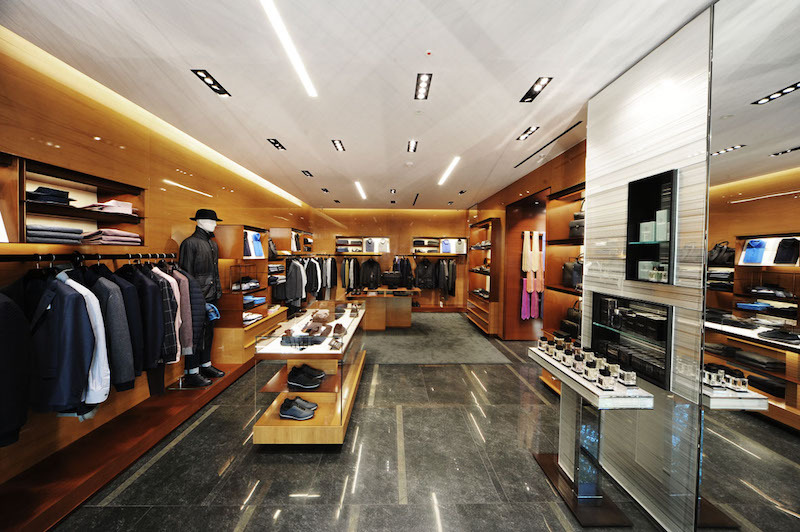 Created by Zegna’s in-house architects, the design is based on the creative concept developed by architect Peter Marino for Zegna Global Stores. 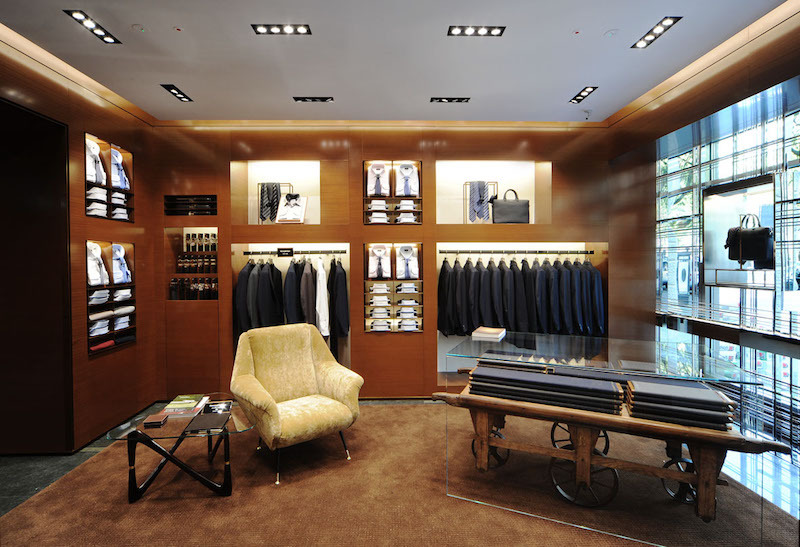 Occupying 100 square meters of prime retail space, Ermenegildo Zegna’s diverse collections are displayed within the single level store ranging from formal and casualwear to accessories and fragrances. A key inspiration for the store design is the fabric created at Lanificio Ermenegildo Zegna, the brand’s wool mill in Trivero, Italy. The metallic strands in the windows echo a fabric’s warp and weft yarns and the bolts of fabric are unexpectedly used as design elements in the interiors. Nature and technology are harmoniously blended through the masculine yet natural color palette created using rosewood, mahogany and both gun and bronze metal. Upon entering the store, the Zegna collections are displayed across different areas specially designed to create a virtual journey through the world of Zegna. Customers begin their experience with a wardrobe of causaltailoring and luxury sportswear garments, complimented by textile accessories, shoes, refined leather goods and fragrances. The sophisticated and classic tailoring of the sartorial collection is showcased in a dedicated room with vintage furnishings and a mirrored steel window facing Kurfürstendamm. The Berlin store also offers the exclusive Su Misura service, allowing each client to select the style, fabric and details best suited for his character and lifestyle.